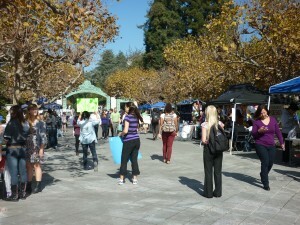 The Daily Clog » No more flyering on Sproul? Physical flyers often just get tossed out, scattered on the ground, or used as scratch paper to write down hasty to-do lists that will never get done. Not only would this digital route to publicity be saving trees (don’t worry, we’re not advocating the saving of cardinals), it would eliminate some of the hassle that comes with handing out flyers and putting up posters, which don’t even guarantee wide turnouts. For those on the receiving end, it would mean less dodging of eager clubs in front of the GBC and less messy bulletin boards around campus. Of course, we would caution against the complete use of digital advertising. Not everyone has a smartphone, so relying on a phone application to spread the word wouldn’t necessarily be the smartest thing to do. But for anyone tired of paper wastage, this app can be downloaded from their site or iTunes. 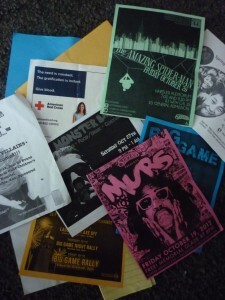 Check it out and see how you like scrolling through events rather than fumbling through stacks of flyers. Maybe you prefer the old-fashioned way, but given all the jokes and memes about Sproul methods, we’d say there’s also a fair number that don’t.